Earlier this summer, I did something that I truly was not comfortable with. In the weeks leading up to it, I prepared and practiced for it, but days before the actual event I was bundle of nerves. I stretched beyond what was in my comfort zone and when it was over, it felt great. 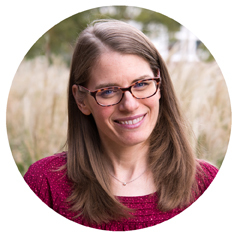 The experience reminded me of the importance of doing the “scary” things and how they can open you up to new ways of thinking and possible new opportunities. What was my “big stretch”? 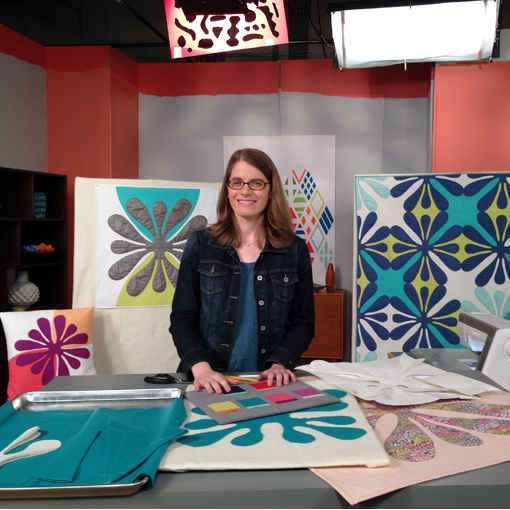 I filmed two segments for Fresh Quilting! 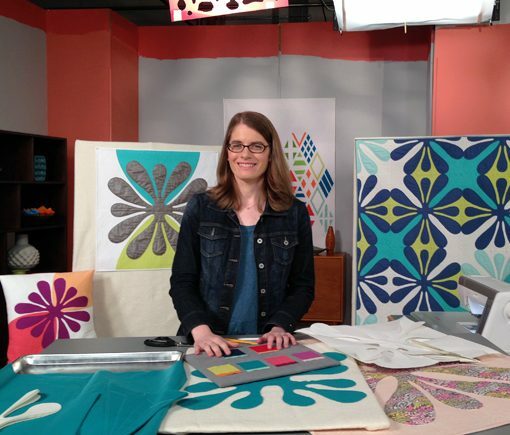 Fresh Quilting is a new public television show co-produced by the Modern Quilt Guild (MQG) and KS Productions. In each episode designers give a fresh twist on traditional designs and share quilting techniques. 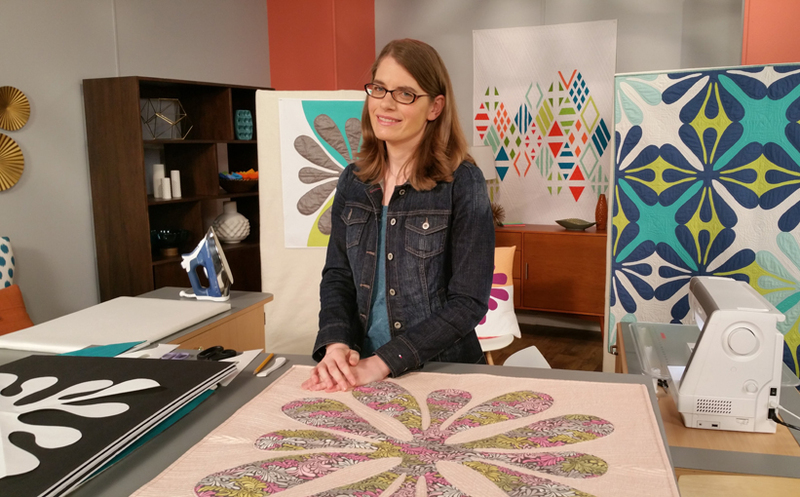 Viewers learn design concepts and techniques they can use to create their own quilt designs. 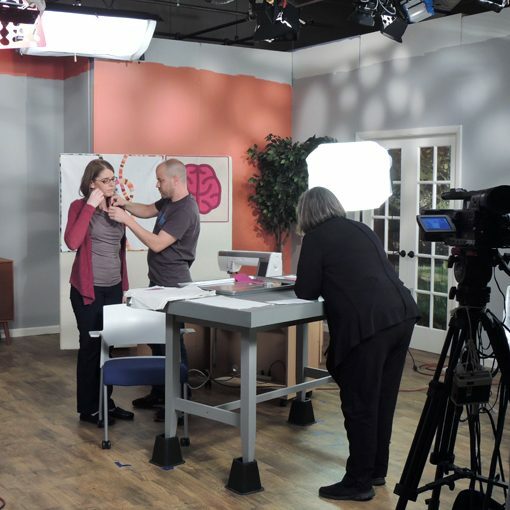 Each episode also includes a segment on community sewing with tips from MQG members and leaders. 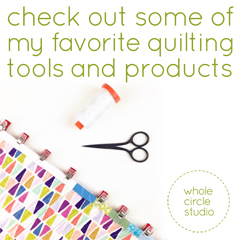 Click here to see if your local PBS is airing Fresh Quilting or if you’re a Modern Quilt Guild member, you can stream episodes for free. You can also purchase both seasons on DVD. 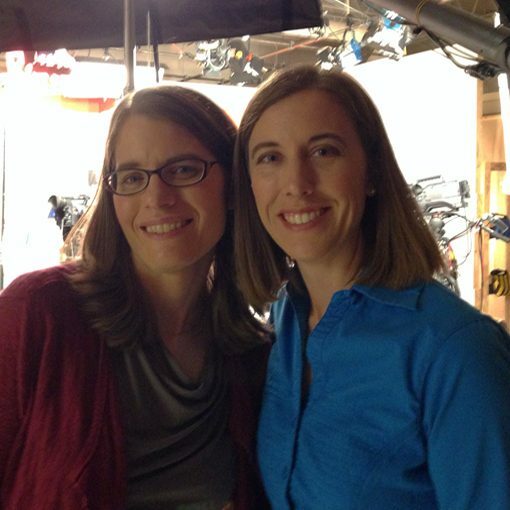 I have experience teaching in person and being interviewed on television, but I’ve never taught on camera. While the experience was time consuming (segment planning, script writing, prep work, travel) and there were some minor panic attacks along the way, I would do it again in a heartbeat. As soon as filming was complete, I was on a natural high. I love sharing my skills and these segments will reach a broad audience. 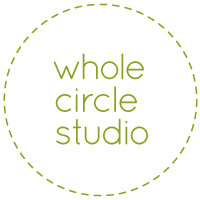 I also had a really great time working with the producers, KS Productions and meeting a number of other talented designers and quilters who were in the studio at the same time as me. Prototyping and preparing at home. More prototyping and preparing at home. Filming was in Cleveland, Ohio. 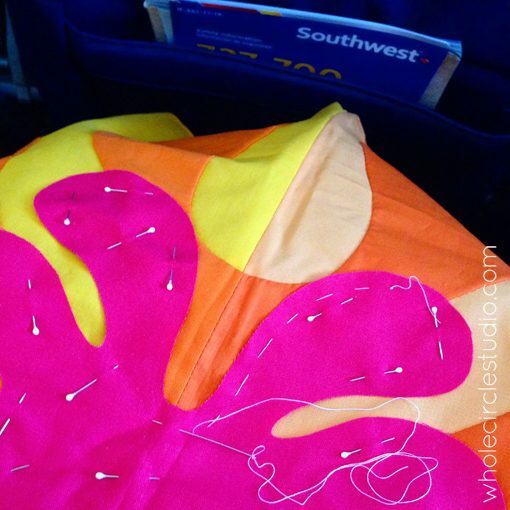 Applique is the perfect travel companion! 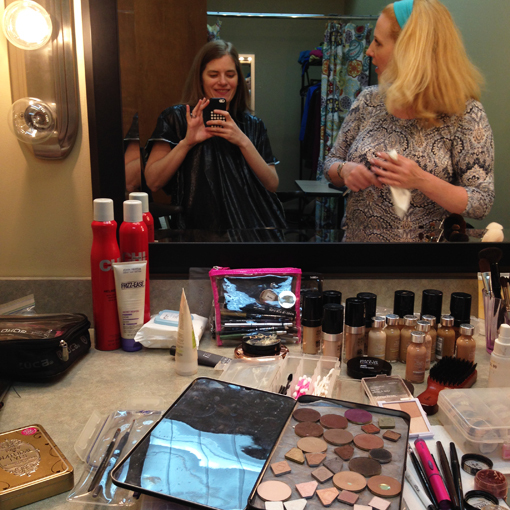 Getting my prep work for the segment organized in the green room. 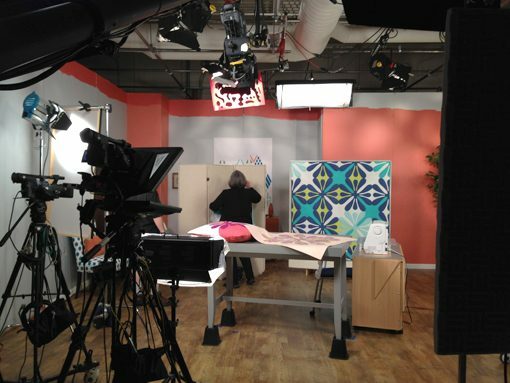 Sitting in the Green Room, watching Yvonne Fuchs (aka Quilting Jetgirl) film her segments. Getting my quilts and materials set up for filming. Moments before filming my first segment! Check out the segment below. 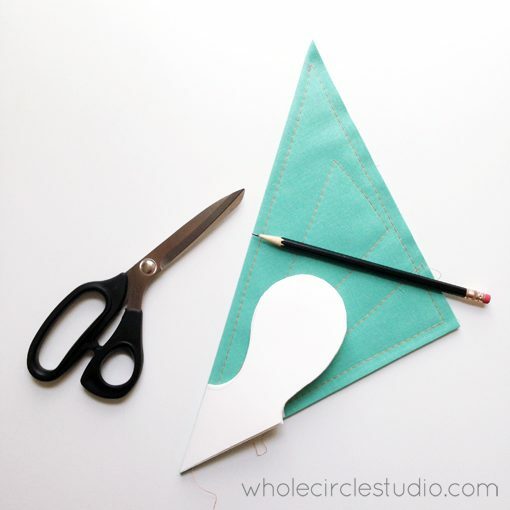 I hope you’re inspired to make your own Hawaiian inspired quilt. Want to learn more about this technique? 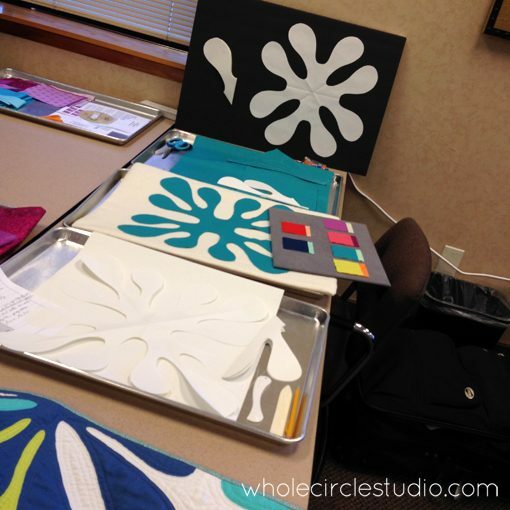 Take one of my Hawaiian Applique Made Modern workshops. I’m so glad we were able to go through this experience together! Thanks for the fantastic tutorial! I found you on Insta. 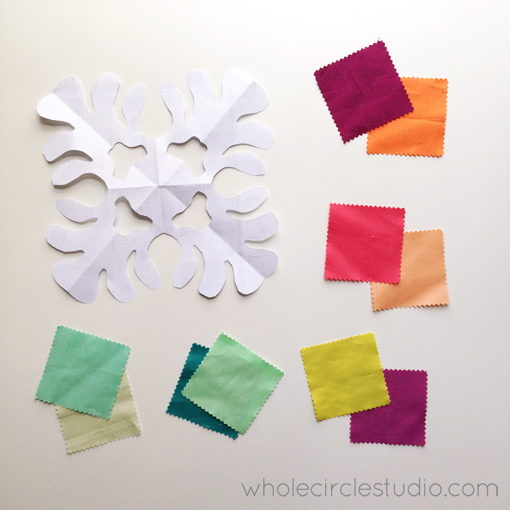 I look forward to this quilt and I will share with you when it is done. Hopefully sooner rather than later! Thanks for watching the video Suzi. I’d love to see your quilt when it’s done!